Computer Systems Engineering is a discipline concerned with the design, analysis and application of computers. This discipline combines both Computer Science and Electronic Engineering. The discipline covers all aspects of computer hardware, software and their integration. 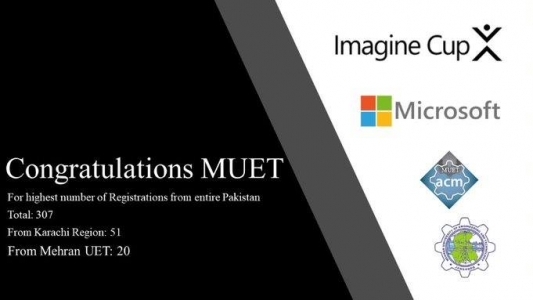 The Department of Computer Systems Engineering of MUET Jamshoro is a well-recognized engineering program that has been producing quality engineers since 1984. The Computer Systems Engineering Department is a vibrant, rapidly growing department and a rising star in innovative research, education, and industrial interaction. We can offer an excellent richness and diversity of educational experiences. We have experienced a period of amazing growth with faculty, facilities, programs, and research initiatives, while consistently improving the quality of our programs and students, as we continue to excel. The mission of the Computer Systems Engineering Department is to develop and maintain high quality undergraduate and graduate programs in Computer Systems Engineering to meet the needs of its constituents, and to participate in scholarly and productive research that contributes to the economic well being and quality of life for our country Pakistan.